Islamabad, 16th March 2018 – TV One and News One partner in the Social Media Summit 2018 which is organized by AlphaPro. The Summit is going to be held on 17th March, 2018 in PNCA, Islamabad. It is anticipated to be the most successful event in creating sense and awareness in people regarding the uses of social media towards development and empowerment of businesses and individuals. TVOne Pakistan and News One are part of Air Waves Media, owned by Interflow Communications, one of Pakistan’s leading advertising agencies. TVOne Pakistan was the first privately owned TV channel launched by the Interflow Communications in Pakistan in the early 2000s. 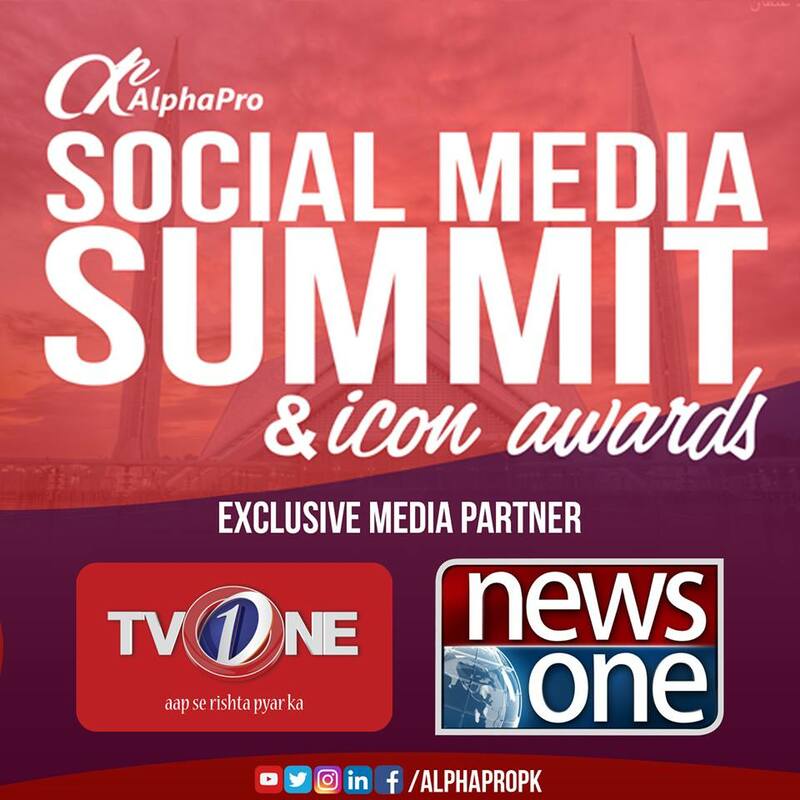 The media Channels recognize the importance of how people should be aware of the insights and uses of social media so they are partnering with Alpha Pro for the successful execution of the Summit 2018. Pakistan is one of those countries who are realizing the power of social media and how it is playing an important role in influencing the opinion of the common people. Social Media is more like a platform for everyone to express their opinion and use their freedom of speech. Not just platform which provides you freedom of speech but also provides you with countless business opportunities that you can operate on the go. The Summit is expected to cover all the areas with talks from professionals and well known speakers and is expected to be one of a kind; it is gaining attention of the locals with huge positive response and appreciation as people are really looking forward to it and are signing for participation. Partners of Social Media Summit 2018 are fulfilling their social responsibility towards Pakistan’s development by supporting events like Social Media Summit.